PPG is greatly encouraged by the Scottish Government’s updated Policy on Electronic Training Collars, dated January 24, 2018, which states that under Section 38 of the Animal Health and Welfare (Scotland) Act 2006, it will be officially recognized that training methods that incorporate unpleasant stimuli or physical punishment can cause an animal pain, suffering and/or distress, and that using such methods may constitute the offense of causing unnecessary suffering under that Act. According to the policy, particular methods to avoid include: physical punishment, electronic collars to administer an electric shock, anti-bark collars, and startle devices. This new move by the Scottish government falls in line with PPG’s recently launched Shock-Free Coalition (shockfree.org), a global advocacy campaign which aims to end the practice of using electric shock to train, manage, and care for pets, build a strong and broad movement committed to eliminating shock devices from the supply chain, and create transparency on the methods used for consumers seeking professional advice on pet behavior or training issues. PPG applauds the Scottish Government for taking a stand on this matter. Read PPG's full response to the Scottish Government’s policy change. 4 Legs 4 Pets has signed on as PPG's newest corporate partner. The company makes comfortable and attractive cots for place training, home, travel and more. 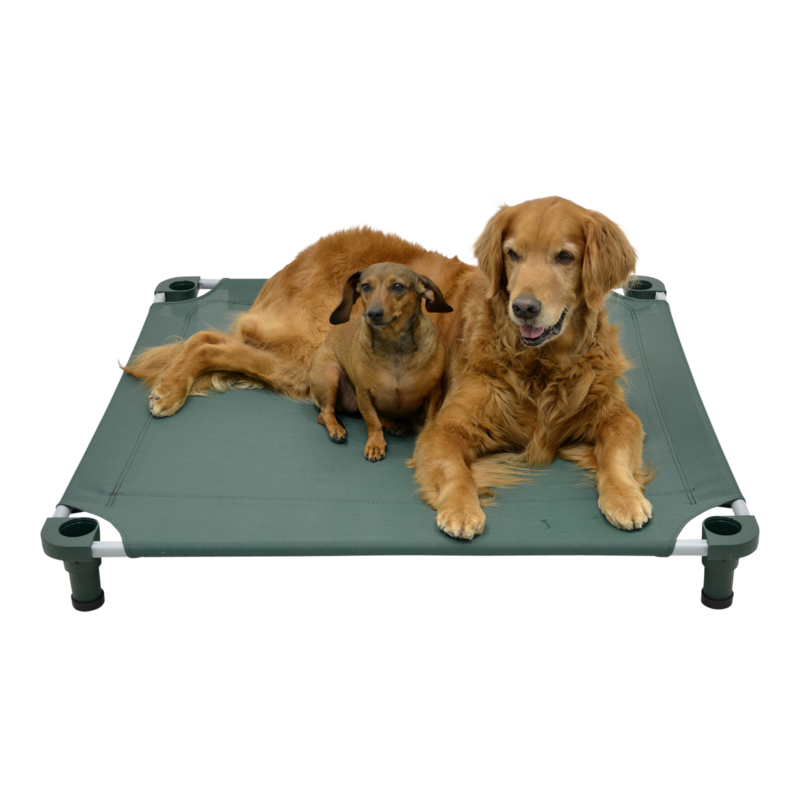 The cots can be used indoors or outdoors, are breathable, lightweight, and stackable, and shaped both rectangular and square. There are eight sizes in all and offer the largest color selection on the market, according to the manufacturer. The company is family owned and operated since 1988, with all products being made in Van Buren, Arkansas using all USA-made raw materials. By mentioning the special PPG discount code in the order notes (at checkout, under shipping zip code), new customers will receive a free set of non-skid leg grippers (retail value $4.48) and leg plugs (retail value $4.48) for every cot ordered (applies to first order only). You can also order and apply for wholesale registration online. Again, mention the special discount code in the order notes to receive a free set of non-skid leg grippers and leg plugs for every cot ordered (applies to first order only). Contact 4 Legs 4 Pets for free fabric and leg color samples. 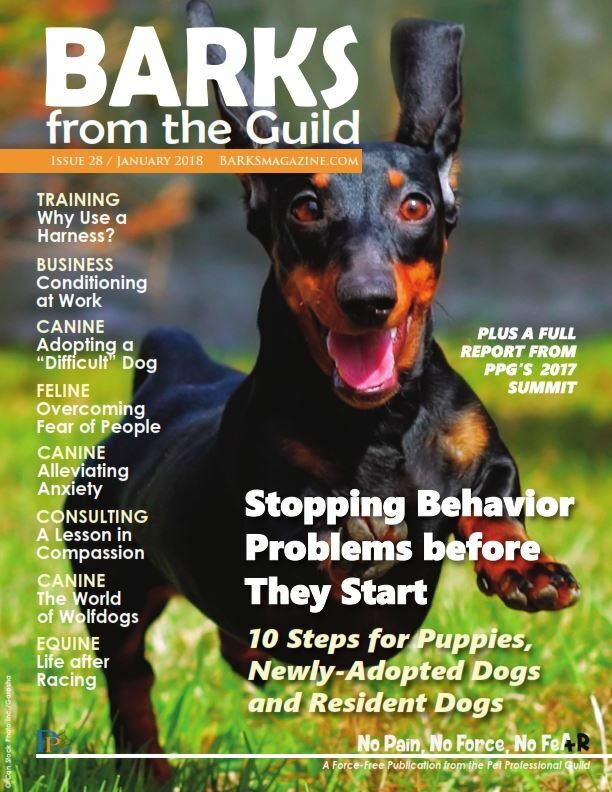 At its Training and Behavior Workshop, to be held at Best Friends Animal Society in Kanab, Utah on April 22-26, 2018, PPG is offering a host of opportunities it to make it as easy as possible for vendors to participate and benefit from supporting PPG's educational initiatives. As such, PPG has developed several opportunities vendors can invest in from afar, leaving PPG to do all the legwork. The sponsorship document sets out the various options available, and vendors may also contact PPG to discuss their goals, or complete a short form to indicate their preferences. 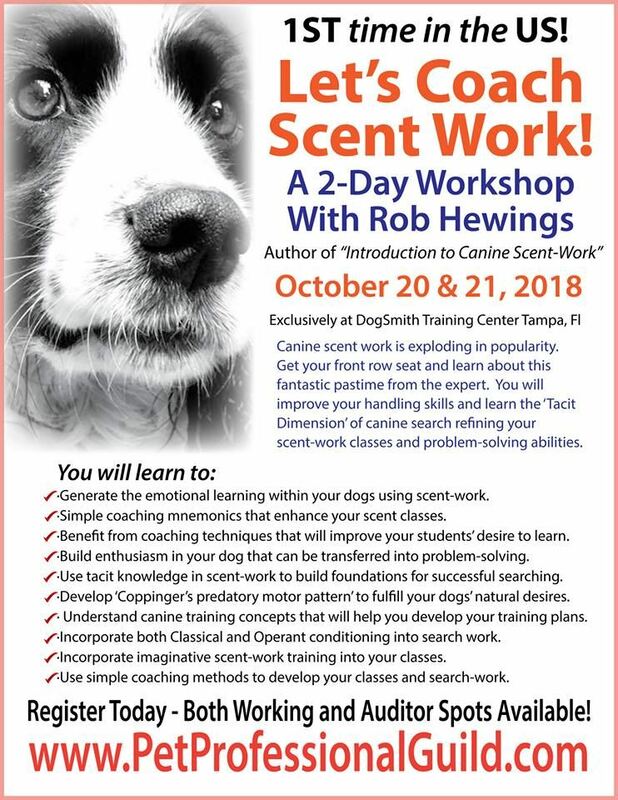 PPG is to host the Let's Coach Scent Work!, a two-day event on October 20 - 21, 2018 in Tampa, Florida hosted by Robert Hewings, head of learning and development for the UK College of Scent Detection. It will be Hewings’ first-ever appearance in the US. Working and auditor spots are available. Tabitha Kucera has stepped up to be vice chair of the Cat Committee this year. Kucera is a valuable “addition to the committee,” said Cat Committee chair, Paula Garber. Kucera has been a registered veterinary technician for over seven years and she has worked with a number of local feline rescue organizations. Her work in these fields shed light on repeated occurrences of cat euthanasia and re-homing due to behavioral issues. She quickly became dedicated to learning about the root causes and permanent solutions to feline behavior concerns. Keeping cats in their loving homes is her utmost goal. 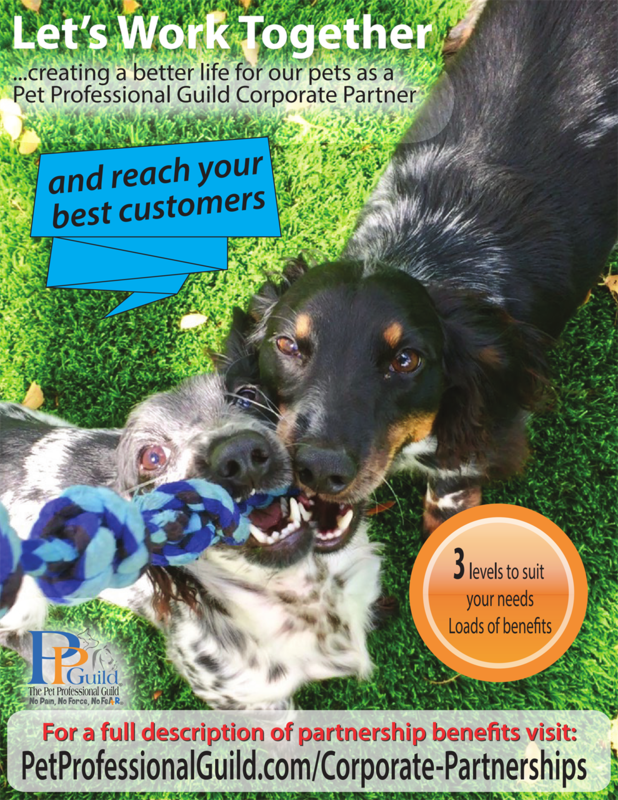 If your company aligns itself with PPG's Guiding Principles, we invite you to become a Corporate Partner so you can expand your reach and grow your customer base through access to a core targeted market of pet industry business professionals. You will be in good company! Current corporate partners include dog*tec, Doggone Safe, Business Insurers of the Carolinas, Dognostics Career Center, Brilliant K9, and 4 Legs 4 Pets. 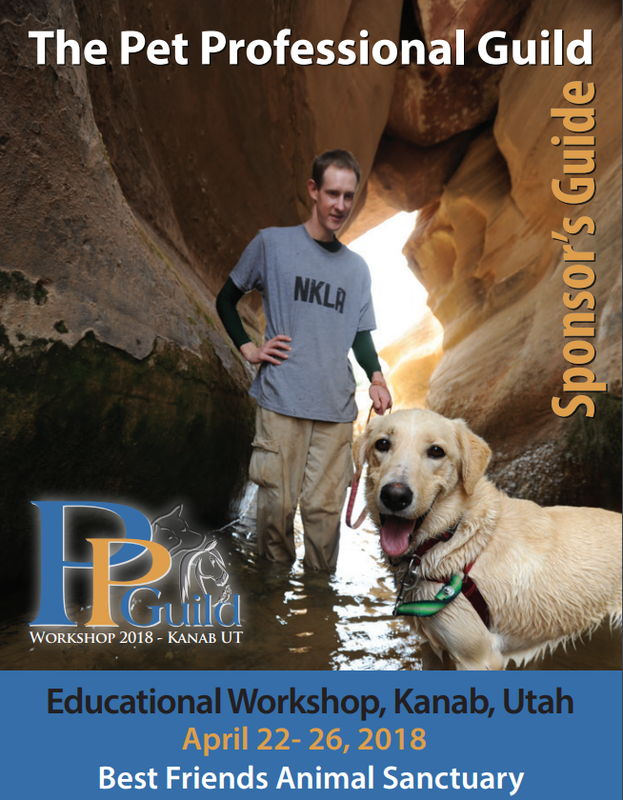 Events: PPG's upcoming Training and Behavior Workshop in Kanab, Utah - what to expect. Advocacy: Keeping the momentum going once you have signed the Shock-Free Pledge. Canine: Differences between the various wolfdog crosses. Canine: Training law enforcement officers to help them better understand the behavior of the dogs they meet on the job. Canine: How physical appearance affects behavioral perception between dogs and its possible impact on communication. Training: How to train and play flyball with hearing-impaired or deaf dogs. Pet Care: Keep dogs and staff safe at boarding and day care facilities, while ensuring the experience is enjoyable for the dogs. Behavior: The role of individualized enrichment in behavior modification plans, featuring Pocahontas the porcupine. Feline: A Cat's Need to Hide. Equine: Target training and choice. Equine: The many functions of play for horses of all age groups. Consulting: The importance of pursuing professional credentials. Consulting: The gig economy - using your expertise to boost your earnings. Consulting: The importance of holding a general liability insurance policy that includes an additional endorsement to cover the dogs in their care, custody or control. Business: The apparently lost art of disagreeing without being disagreeable PLUS our regular Ask The Experts column with dog*tec. Comment: Why electric shock has no place in a professional’s toolbox. Note: Orders close Thursday, February 22. 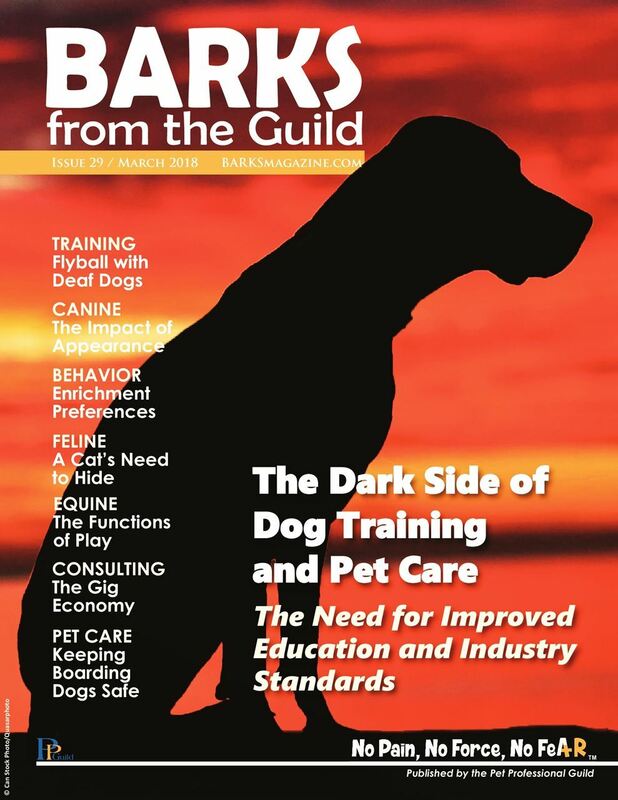 Read the January 2018 digital edition of BARKS. Topic: What adopters are looking for at shelters, science at Best Friends and what attendees can expect at PPG’s Behavior and Training Workshop in Kanab, Utah on 22-26 April, 2018. 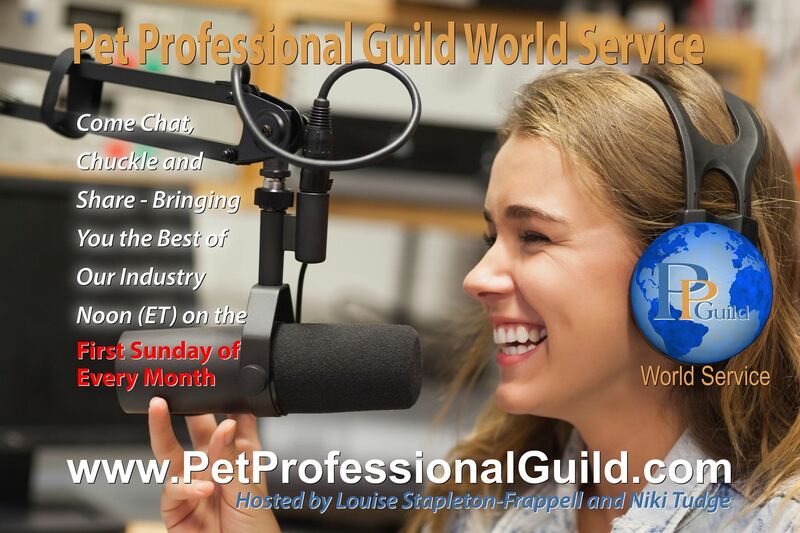 Teri Jaymes of new PPG corporate sponsor Brilliant K9 will also be on the show. Register to listen live. Topic: Let's Opinionate! Education in the pet industry. Register to listen live. PPG is offering selected webinars at a discount this month (discount valid till February 28, 2018).